Most of us associate dental treatments with pain. Imagine a world where dental procedures were not only painless, but you could heal faster after any treatment, with minimal discomfort and swelling and not even need pharmaceuticals? This has been made possible with the use of low level laser therapy, an evolving concept that has been used by dentists for the last four decades. 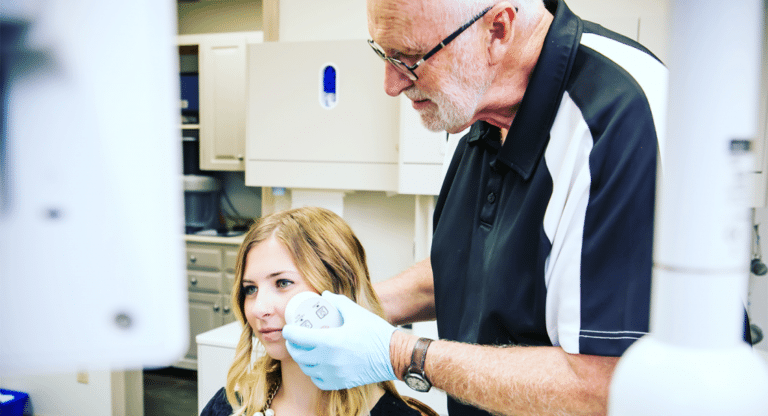 Being a rather new model, low level laser therapy is constantly under evaluation by medical researchers in a bid to improve its effectiveness in dentistry. Low level lasers work by using various frequencies of light to stimulate cellular energy, which penetrates your nerves, cells and tissue to enhance healing, reduce pain and inflammation after dental procedures. Tottenham dentist Dr. Filo, points out that with low level lasers, dentists are now able to treat various conditions, in the most efficient way possible. It’s a minimally invasive technology, hence only requires application of minimum anesthetic, unlike most dental treatments. Only your dentist can determine whether to use this therapy for your dental treatments, after looking at different factors such as the specific type of treatment you need, convenient wavelength and efficient doses required. With laser therapy, your bone formation is improved after the implants, and you will not experience any pain or inflammation after the treatment. We use low level lasers on the affected site to increase the lymphatic flow, which minimizes any inflammation of the cells and also increases neutrophils needed for healing. Laser treatment in orthodontics is basically applied to reduce any pain you might feel during the procedure, and as a way to speed up the healing. Laser therapy is quite effective after an extraction because it will eliminate the need for painkillers, minimize any pain and inflammation that may occur, enhance healing of your tissue, and also speed up the drying of your tooth socket. You might have experienced facial pain after prolonged dental treatments, or if you suffer from TMJ. Low level lasers relieve muscle tension, which eliminates the pain and any inflammation that may be as a result. We use laser therapy to minimize inflammation in your periodontal tissues, and to fasten the healing process. By applying the lasers to an acupuncture point on your wrist, we ensure that patients with a gag reflex do not experience nausea during a dental treatment. Is Low Level Laser Therapy Safe For Me? Yes! The laser technology has been tested out in the medicine world over the years, and now in general dentistry. Studies have shown that low level laser therapy is very effective when applied in dental procedures. This therapy has no side effects, and leaves minimal impact on your teeth, with a reduced risk of infection, maintaining your tooth’s natural appearance. Our dentists at Queen Street Dental, in Tottenham ON, are deeply committed in using the most enhanced technologies to ensure we offer only the most effective treatment to our clients. Contact us today to schedule an appointment!